Brisbane's most exclusive G&Tea party! 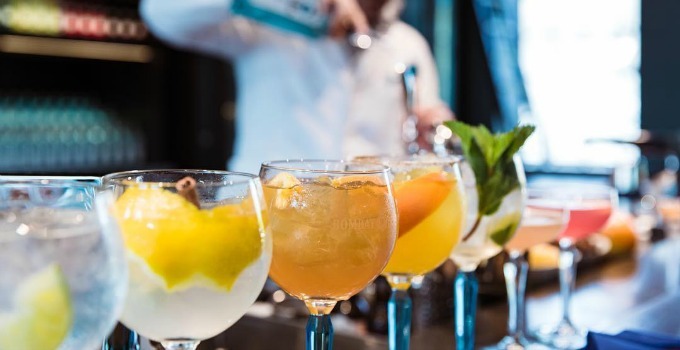 Bottomless Bombay Sapphire gin cocktails, towers of treats, giant cheeseboards and more cake than a 10th birthday party – that’s our kind of tea party. What if we told you that you could get all this, plus gin masterclasses (how to make bespoke cocktails and match gin with food), live entertainment AND prize giveaways worth $10,000 (umm…hello wardrobe makeovers) – all fo free at G&Tea! Itchin’ to get your mitts on the tix? We’re going to tell you how you can win FREE GIN. This gincredible opportunity only comes once in a lifetime, and it’s all taking place at Indooroopilly Shopping Centre on March 17th. Between February 15 – March 7, just shop at selected fashion and beauty retailers to receive a golden ticket, and the more you shop – the more chances you have to win! Don’t think you can just flash your cash and get a ticket either sister, this is some Wonka level exclusivity – you gotta win a ticket to go. So, forget about G&Ts, we all know they’re SO 2017. We’re all about sippin’ on G&Teas baby! Words by Emma Callaghan – the gourmand who is ready to shop til she drops! Keeping the G&G up to date with all the latest tasty tidbits requires a lot of double lattes and espresso martinis, so we occasionally need to give out some sponsored love. But rest assured that we only work with businesses that we think are really nifty, as the sponsor for this post is!